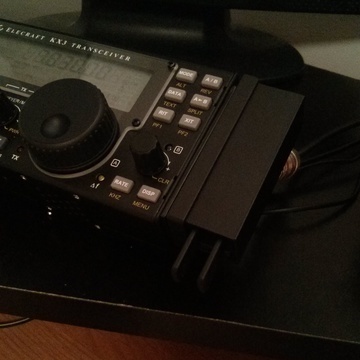 Here's a simple hardware mod for the Elecraft KX3 to mount a set of Palm Mini Paddles to the case. 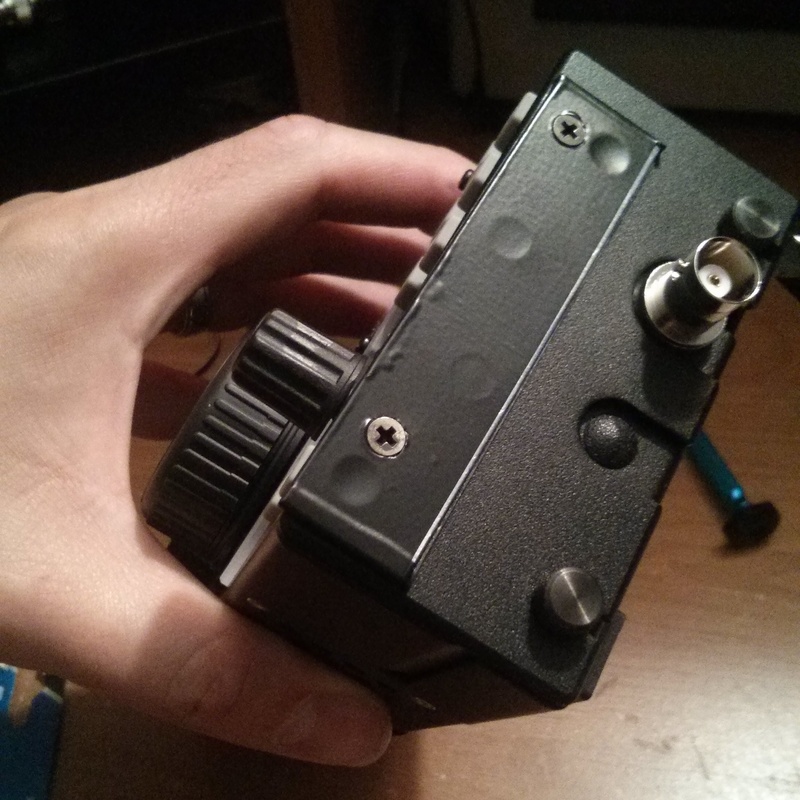 It takes about an hour and looks like it is designed for the radio. 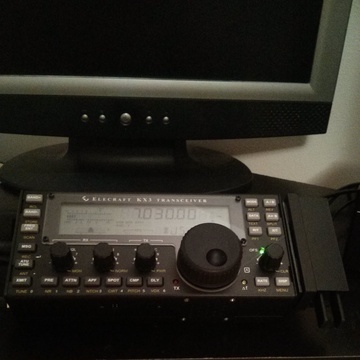 After I purchased my KX3, the first thing I wanted was a way to mount my Palm Paddles to the case. Palm Paddles have a convenient magnetic mounting base that works great with many radios; stick it to the side or top and you are set. However, the KX3 uses an aluminum case, which means magnets won't stick. The best and easiest solution is to mount a ferrous metal bracket to the side of the case using the existing screw holes on the side of the KX3. If installed properly, it won't damage the case, and it will look like it was always part of the radio! Two items to get out of the way: 1) I can't take credit for this idea, because I read it documented by KK1W first. 2) Palm Radio sells a new product called Pico Paddles, which can be mounted to the front of the KX3. Personally I like the look of the Mini Paddles attached to the side of the case. Perhaps Palm Radio could sell a ferrous metal alternative side plate for the KX3 in the future. The first thing you will want to do is locate a suitable metal bracket. I had in my junk box several 3" zinc plated Everbilt Mending Plates from Home Depot. 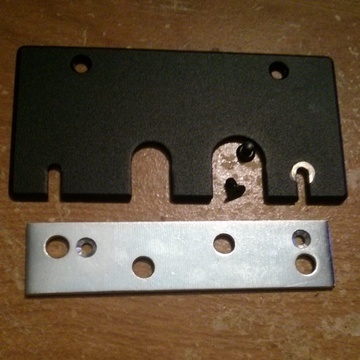 The bracket size is slightly smaller in length than the side panel of the KX3 and small enough in height (a little less than 3/4") as to not interfere with the BNC antenna jack; and, the bracket is long enough so both of the magnetic mounts on the case of the paddles can sit securely. 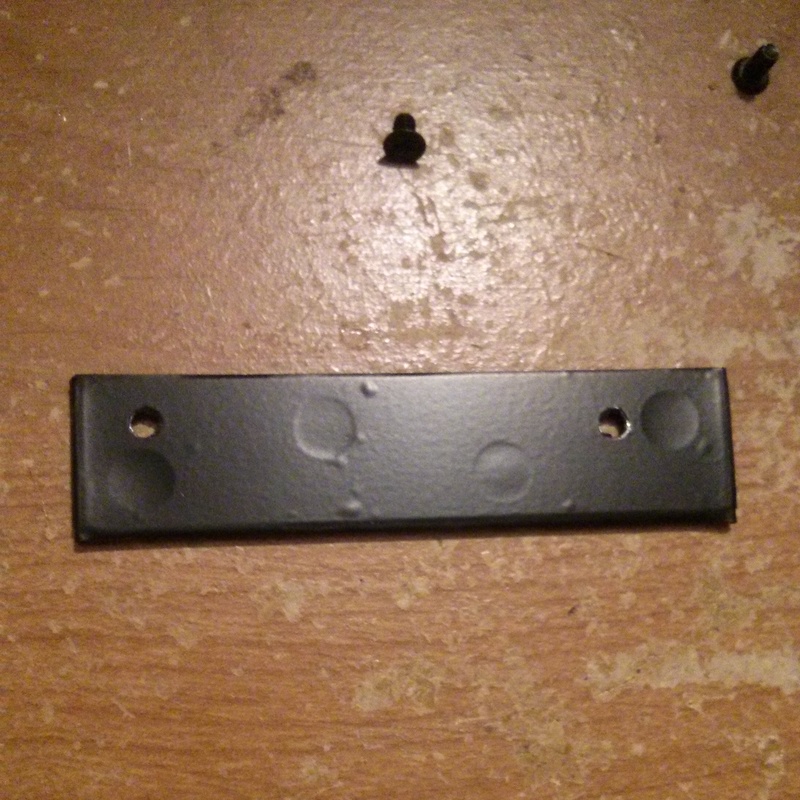 Basically, it's a near perfect match and didn't require any cutting of metal. Next pop off the side plate on the KX3 and mark where you will drill your pilot holes. 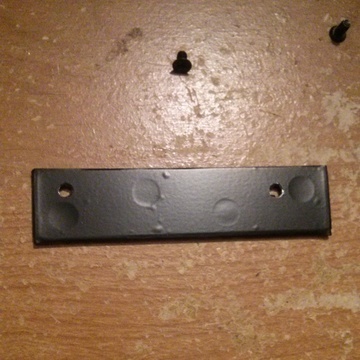 I used a 7/64" drill bit for the screw hole center, and used a 1/8" bit to drill a larger hole about 3/4 of the way through the metal. This is so I could use flat head screws to attach the bracket to the side of the case and have the screws be flush with the assembly. 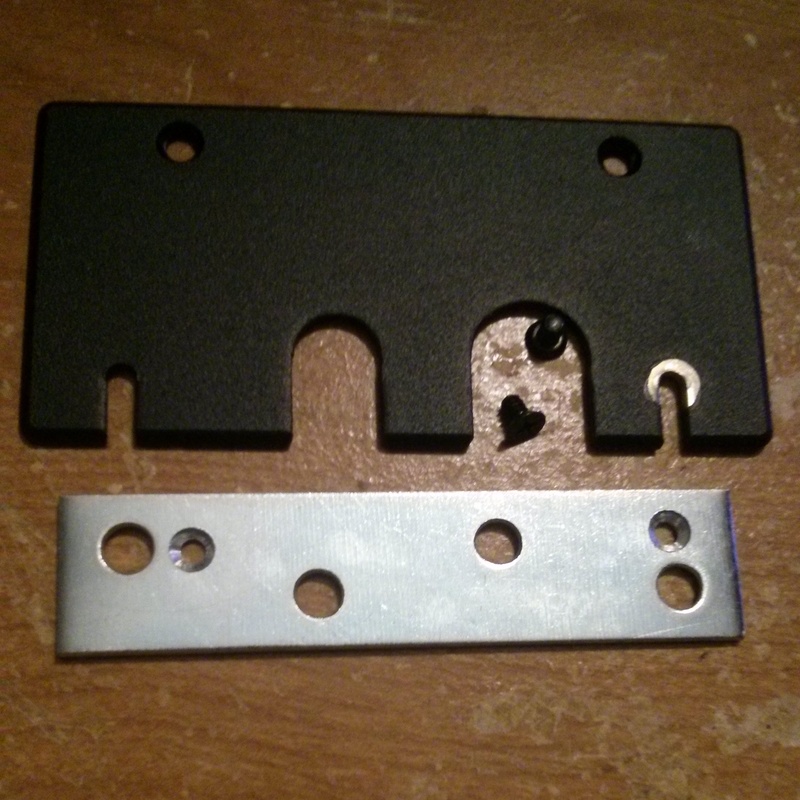 Speaking of screws, the two original screws that fit the panel to the side of the KX3 are 4-40 3/16" black flat head. These will be slightly too small with the addition of the bracket. I had two 4-40 1/4" black flat head screws in the spare parts bag that came with my KX3 kit, which were a suitable replacement. It will likely take some trial and error to get the screw holes just right. Remember to move slow, drilling out the larger 1/8" hole a little at a time, until you have it deep enough so each screw head sits flat and so the panel attaches securely to the case. When you are satisfied, wrap the bracket in some black electrical tape and use an X-ACTO knife to cut away the tape from the screw holes. Two reasons why you should use the tape: 1) It protects your case from scratches that may be caused by the metal bracket, 2) It looks nicer after assembled! And that's all there is to this mod! 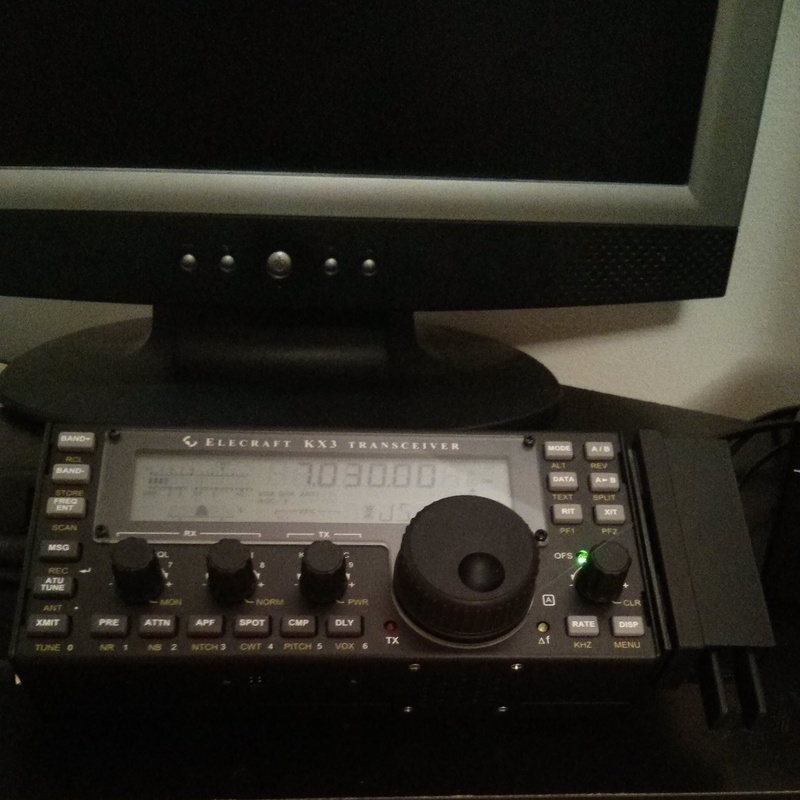 I've been using the paddles attached to the side of my KX3 for several weeks now (practicing my CW), and they have only come loose two or three times. The magnets on the base of the paddles are quite strong so they sit securely; and they really do look great!